It’s Toys for Tots Time at EPE! 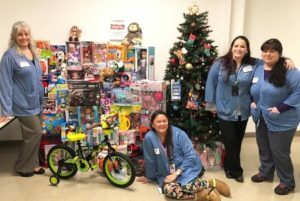 December 11, 2018: EPE employees are in the holiday spirit! Boosting our already strong Toys for Tots collection this year was a “Bake Off” coordinated by EPE employee Donna Guthro. Proceeds from the “Bake Off” were used to purchase more toys, making our toy drive even more successful this year. All baked goods submitted were delicious and made it difficult for the judges, JD Bell, Steve LeCour and Chris Lentz to decide! Congratulations to the “Bake Off” winners shown below: First Place, Stacy Pasko (far right) for her pecan cheesecake; Second Place, Bernice Zafra (sitting) for her carrot cake; and Third Place, Nicky Spear (second from right) for her cherry cheesecake. A special thanks to Donna Guthro (far left) for organizing the “Bake Off”!! Thanks to all who participated in the “Bake Off” to make it such a success and to those who donated toys to help Toys for Tots! EPE has the best employees! Happy Veteran’s Day To Our Employees! 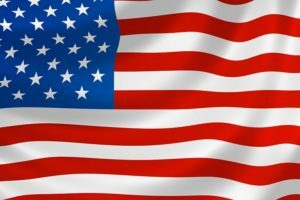 EPE thanks its employees who have served in the military over the years! Our veterans include: Bob Jensen (Army), Dave Parrotto (Army National Guard and Navy), George Sheldon (Air Force), Hollis Willoughby (Air Force), Jason Martin (Army National Guard), JD Bell (Navy) Ray Melendez (Army), Sean Finegan (Army National Guard), Joe Sipple (Navy). Fifty plus years of combined service from our EPE Veterans! NEVER FORGET! pictured from l-r: James “JD” Bell, Jr., President of EPE; Kathy Flynn, Director of Veterans Count; Joe Emmons, Senior Director of Development of Veterans Count; Leatha Anfuso, Credit Manager at EPE. MANCHESTER, NH. 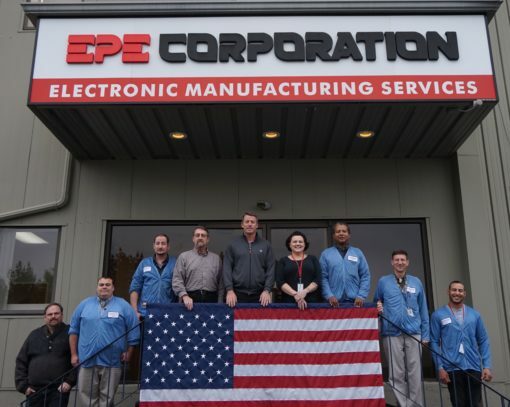 (November 1, 2017): EPE Corporation, a high-reliability Electronics Manufacturing Services (EMS) company and a veteran-owned company, has donated $2,000 to Veterans Count in Manchester in honor of Veteran’s Day. Leatha Anfuso, an EPE employee, organized and conducted bi-monthly company-wide raffles since last spring. 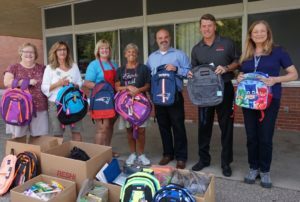 Each raffle had a theme, such as a BBQ basket filled with grilling items, Patriots merchandise or handmade items crafted and donated by EPE employees. “My plan was to raise a little money with each raffle and hopefully it would add up to a nice donation to Veterans Count around Veteran’s Day,” Leatha noted. 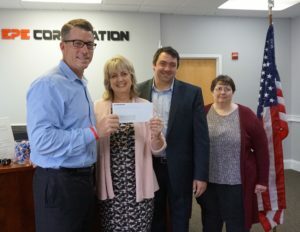 James “JD” Bell, President of EPE Corporation, decided that EPE would match the raffle earnings making the total donation to Veterans Count $2,000. Director of Veterans Count, Kathy Flynn, commented, “We are so appreciative of community support such as this. It goes a long way in helping our local veterans with the things they need,” she added. MANCHESTER, NH. (April 18, 2017): EPE Corporation is strategically adding advanced environmental stress screening capabilities with the HALT & HASS system from Cincinnati Sub Zero. MANCHESTER, NH. 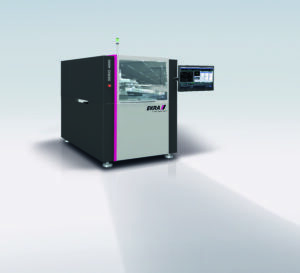 (March 29, 2017): EPE Corporation is strategically investing again with the purchase and implementation of three new Ekra Serio 4000 Solder Paste Screen Printers. 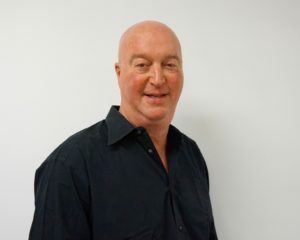 “These new screen printers are the latest in flexibility and performance. 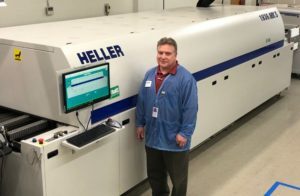 Each of our three SMT lines includes one of these screen printers which are customizable and scalable, helping us to achieve our business growth and scalability goals,” comments James “JD” Bell, Jr., President and CEO of EPE Corporation.